16 YEARS TO CONSUME BEER? Beer sommelier training: Become a beer sommelier and share our passion for beer! 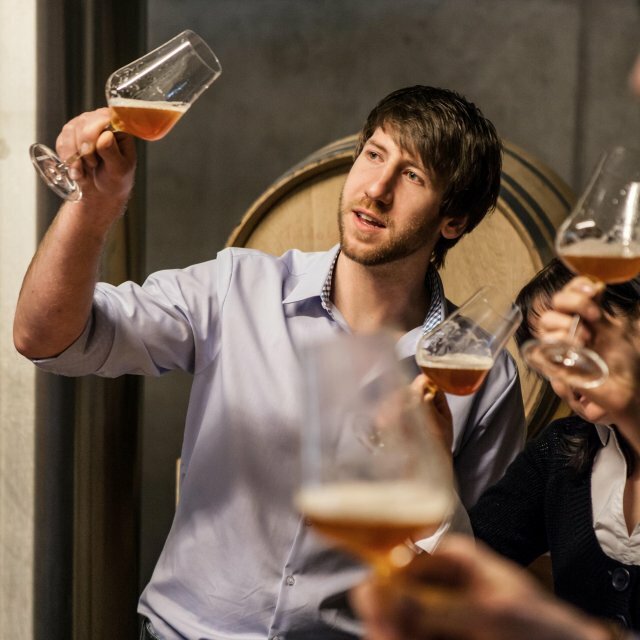 Our Intermediate Beer Sommelier training programme was created under the patronage of the Austrian Brewery Association, Verbandes der Brauereien Österreichs . Intermediate-level content serves as a link between the Junior Beer Sommelier qualification (offered at vocational schools) and the Beer Sommelier diploma (offered exclusively at the BIERkulturHAUS and is taught in a compact one-week programme. The modular system offers a flexible range of programme entry points. The training is provided by authorised training providers in cooperation with breweries. In Obertrum, it is provided through ;Kiesbye’s BIERkulturHAUSin cooperation with the Trumer Privatbrauerei.